The Texas Ranger is one of the most cherished symbols of the Lone Star State, a positive and enduring icon of Texas and America. 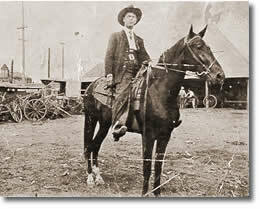 Many families take immense pride in having a relative who was, or is, a Texas Ranger. Past and present ranks include Texans of Hispanic, Anglo-European, African, American Indian and Asian ancestry. At its core, the Ranger Ideal is respect for what our conscience tells us is right, a dedication to the common good above self, and the belief that an individual “in the right” can succeed in the face of overwhelming odds. The words that go with this conviction are inspiring — honor, self-sacrifice, perseverance, dedication, valor, duty and humility. Most 19th century Texas Rangers lived this ideal. They protected their neighbors from harm, captured criminals and staved off invasions. Few were paid regularly, if at all. Some Rangers died with glory at the Alamo while others were wounded or died in anonymity at now forgotten places. Many of their names and deeds have been lost to history, but Texas is their legacy. It would not exist without their sacrifice. The outstanding Rangers of the 20th century honored this code. Like the Lone Ranger of fiction, most avoided publicity and acclaim. They faced off against mobs and prison riots, gave their lives rescuing children, defused armed standoffs and trained those who would follow. In those few instances when political action degraded their ranks, or took away their right to use the title of Texas Ranger, many continued to serve the common good in the Ranger tradition. We are now in the 21st century, the third century of Texas Ranger service. In the 1940s and ’50s, t. v. shows and movie-serials prophesied that 21st century “Space Rangers” would travel in rocket ships, talk on long-distance “communicators” and use ray guns. It all appeared far-fetched for a service that began in the Old West. While space ships won’t be in the the Texas Department of Public Safety budget any time soon, today’s Rangers pack tools that were science fiction fifty years ago — laptop computers, digital cameras, GPS units, DNA sample kits and cell phones. True to tradition, their outfits include boots and cowboy hats, most own Colt pistols, and they still wear circle-star badges made from Mexican coins. Their strengths remain their exceptional skills, perseverance, honor and dedication. I’ve been privileged to meet many Texas Rangers and know a few well. They are unquestionably among the finest law enforcement officers in the world. They love their state and its people, respect its pioneering traditions, and work very long hours to protect the public. Their primary mission is to investigate major crimes and assist local law enforcement agencies. Like all officers of the law, Texas Rangers face individuals most of us would prefer didn’t exist — pedophiles, murderers, serial killers, rapists and corrupt public servants. The news that Texas Rangers are on a case sometimes brings a quick confession or surrender — as in the recent case of the “Railroad Serial Killer.” Like their colleagues, the Royal Canadian Mounted Police, The Texas Rangers have a deserved reputation for bringing criminals to justice. Many of us wish that other “role models” accomplished so much with so little fanfare. When the cases are solved, and the media arrives, the Texas Rangers traditionally step back and give local officers the spotlight— remarkably like that other Ranger, the fictional masked man with the silver bullets. “Wannabe” Texas Rangers, dreaming of fame and acclaim, just don’t get it. – Children, constantly exposed to media-manufactured “heroes,” arrive at the Hall of Fame and Museum in the hopes of meeting “a real Texas Ranger.” Seeing the reaction when a child receives a toy Ranger badge from a real Texas Ranger will restore your faith in a jaded world. I am a 17 year old student from Wellington, New Zealand. 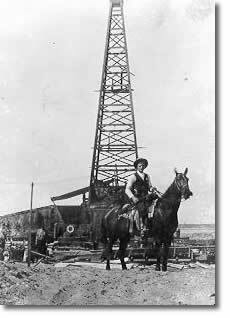 I am currently working on an English project which I am doing on Texas Rangers, a subject of great interest to me. – The Texas Ranger Hall of Fame was a regular stop for dignitaries visiting President Bush’s ranch in nearby Crawford. Heads of state and Federal officials were visibly impressed when introduced to “a real Texas Ranger.” They requested autographs and treasured Texas Ranger pins above far more expensive souvenirs of America. Very few have ever worn the Texas Ranger badge, but anyone can be a Texas Ranger in spirit by adopting the ideals of the service. Follow your conscience, contribute to the common good, and know that you can succeed, even in the face of tall odds, if you strive for a higher purpose. The “Ranger Ideal” is alive and well in the 21st century. Preserving Texas Ranger history, and honoring distinguished Rangers is what the Texas Ranger Hall of Fame and Museum is all about. We hope you enjoy our site; we hope you will visit us when you are in the Waco area.